'71 DVD release date was set for July 7, 2015. 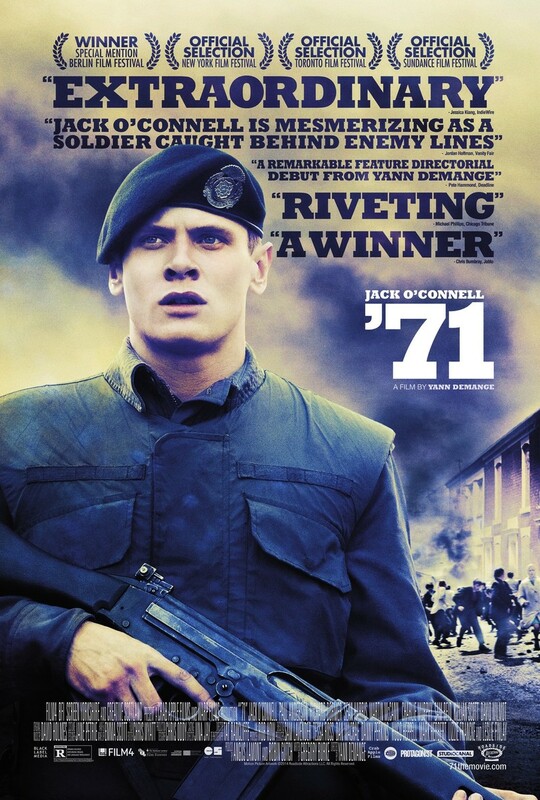 Gary Hook is a young army recruit who is sent to Belfast in 1971. It's a time and place filled with violence, hatred and confusion. On his very first day, Hook is assisting the local police who are looking for troublemakers. He's separated from the others amid a city that doesn't take kindly to soldiers. In Belfast, cars are on fire in the streets, buildings are half-demolished and violence can erupt at any moment. Gary must make it out of the hellish city on his own. Locals have removed street signs to increase the confusion of the city for those they feel don't belong in it. This makes it even more difficult for Gary as he tries to make it out alive.